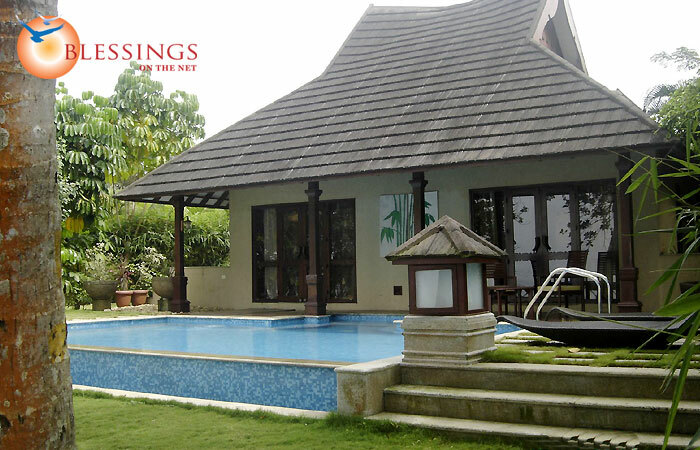 The Zuri Kumarakom Resort and Spa is a luxury resort at Kumarakom (Kerala, India) located right on a Vembanad Lake Front. 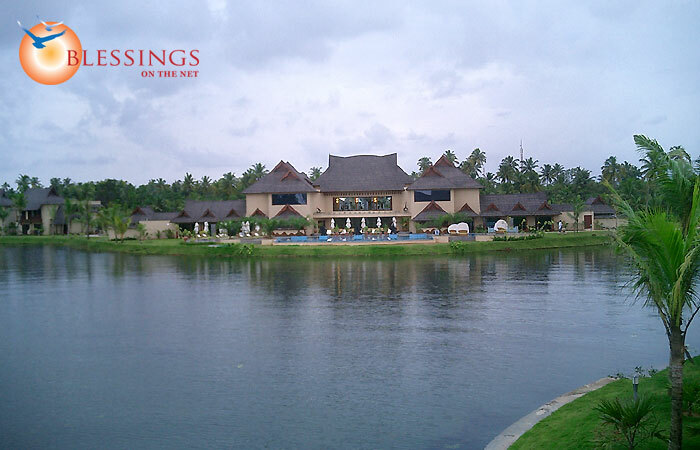 The Zuri Resort & Spa is located in the proximity of Vembanad Lake. 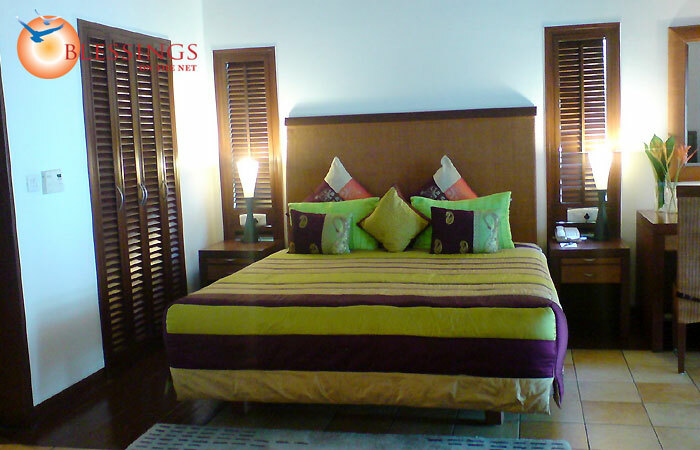 The hotel offers comfortable accommodation in its 72 luxuriously appointed rooms, including Superior Lagoon View Room, Deluxe Lagoon View Room, Superior Lagoon View Cottage, and Lake View Pool Villas. 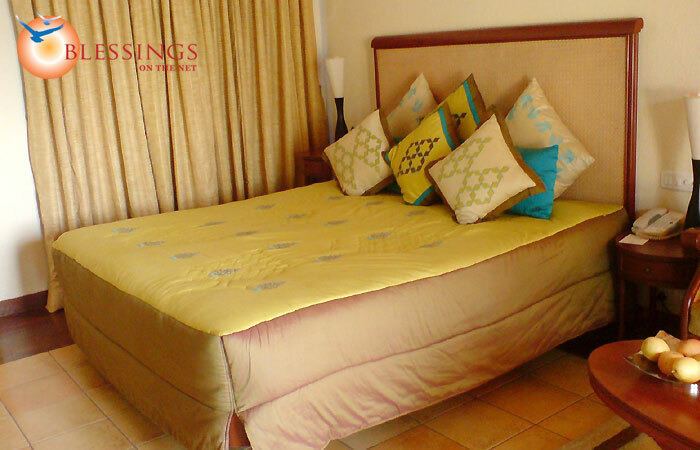 Each room is beautifully appointed and boasts of all the comforts of modern living. 2 Blue: A pool bar to enjoy an extensive range of snacks and refreshing drinks. Trunk Call Bar: An exotic bar serves varied selection of local and foreign liquors. Marquees: A sophisticated cigar lounge to relax over the finest spirits and cigars. Laguna Bass: A lake view restaurant serving delicacies from all around the world. Lime Tree: A place to savor delicious pizzas, burgers, sandwiches and Indian kebabs.